Mike Leach and WSU agreed to a five-year extension that will pay the coach nearly $20 million through the 2022 season. Washington State football coach Mike Leach has agreed in principle to a contract extension that will pay him nearly $20 million over the next five seasons, WSU announced Monday. This new provision in Leach’s contract continues the existing five-year rollover clause from his original contract, which now extends through the 2022 season, and will pay him $3.5 million in 2018, $3.75 million in 2019 and $4 million in 2020, with a one-time retention bonus of $750,000 after the 2020 season. How about the Pres wows cougfan and locks down Leach before we lose recruits? Early signing is the 20th and recruits want certainty that Leach will remain. After some weeks of turmoil that saw Leach reportedly interview for the Tennessee head coaching job, Leach’s contract extension should go a long way toward giving recruits peace of mind and keep this recruiting class together. Leach’s 2018 salary of $3.5 million now ranks among the top six of the head coaches at those same 11 Pac-12 schools, based on USA Today figures from 2017, and the announced salaries of the four new Pac-12 head coaches who have been hired since the conclusion of the regular season. Per the news release, Schulz and Leach “recognize the need for a new indoor practice facility.” WSU will also increase its assistant coaches’ salary pool by $400,000 for 2018, bringing WSU’s assistant coaching salary pool to $3.14 million. Based on the most recent 2017 figures from the USA Today assistant coaching salary database, that bumps WSU from eighth to fifth among the 10 Pac-12 public institutions, barring pending raises for coaches at other schools. A substantial amount of that $400,000 addition to the assistant coaches salary pool is expected to go to defensive coordinator Alex Grinch if he decides to stay at WSU. Grinch made $600,000 in 2017, and has been rumored as a popular candidate for defensive coordinator jobs at other schools. Per the terms of his present contract, Grinch was scheduled to make $625,000 in 2018. Beginning in January, new NCAA guidelines allowing schools to hire a 10th assistant coach will also go into effect, and WSU is expected to hire a 10th assistant coach. Leach has not addressed this issue recently, but said when the new rules were unveiled in 2016 that this 10th assistant will likely coach defense. Leach has won 38 games in his six seasons — second most by any sixth-year head coach in school history — and has taken WSU to four bowl games in the last five seasons. But questions about his long-term future at WSU arose this fall after athletic director Bill Moos left for Nebraska, and deputy athletic director Mike Marlow left for Northern Arizona. Moos and Marlow were both instrumental in persuading Leach to come to WSU, and their departures about two months apart raised questions about whether Leach would stay in Pullman. This uncertainty came to a head on Nov. 30 when Leach reportedly met then-Tennessee Athletic Director John Currie in Los Angeles to interview for the Vols’ vacant head coaching job. Currie was subsequently fired by Tennessee, which then installed Phil Fulmer as athletic director and hired Jeremy Pruitt as head football coach. 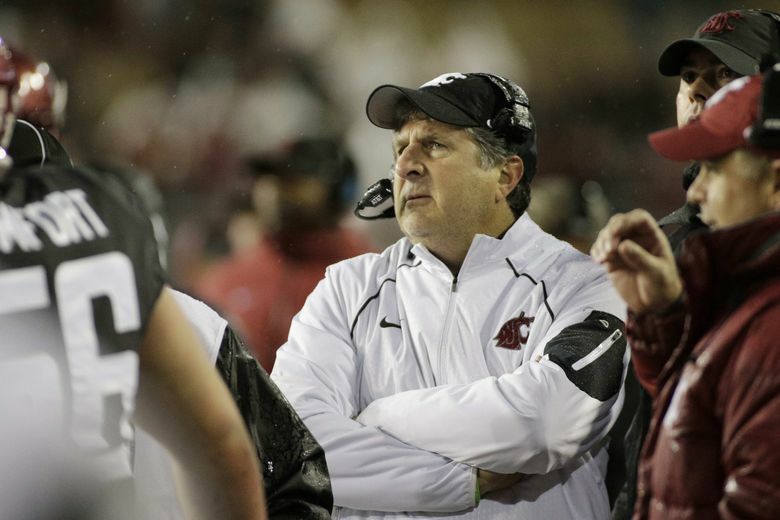 However, Leach’s reported interview with Tennessee drew concern from WSU supporters and alums. Schulz has repeatedly stressed that he understood the importance of keeping Leach in Pullman, and he backed this up by announcing Leach’s raise on Monday.